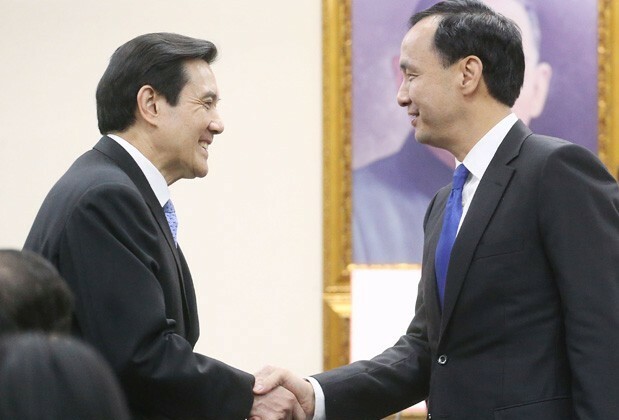 President Tsai’s first diplomatic trip since taking office took place in June with visits to Panama and Paraguay, two important Latin American allies for Taiwan. 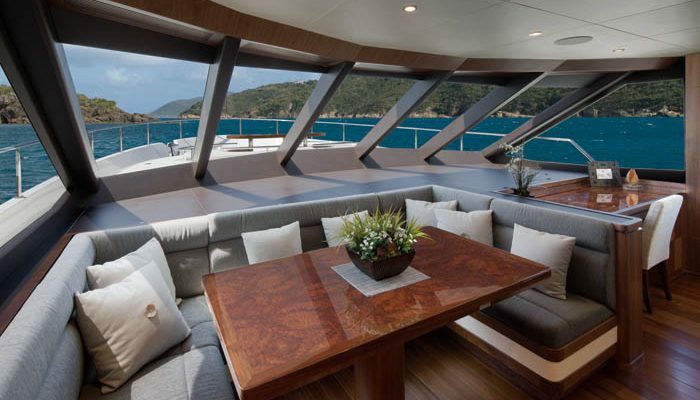 She began her three days in Panama by attending the opening ceremony of the expanded Panama Canal. 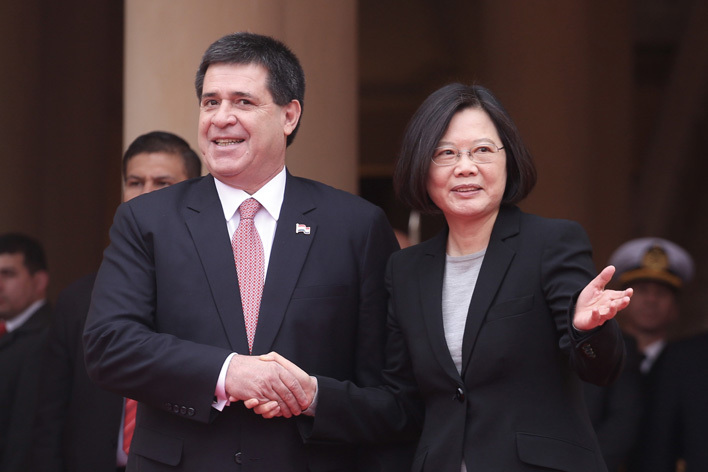 After meeting with top officials in the country, Tsai went on to Paraguay where she met with President Horacio Cartes, among others. Tsai made transit stops in Miami and Los Angeles on her way to and from the region. 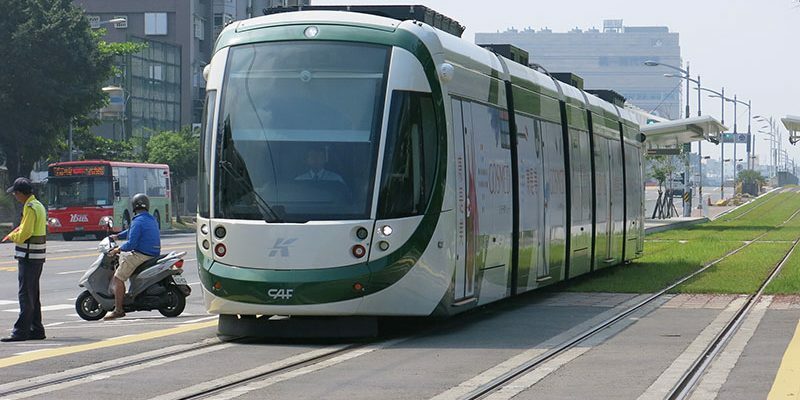 The trip was designed to increase Taiwan’s visibility and trade in Latin America. On July 12, the Permanent Court of Arbitration in The Hague made a sweeping ruling invalidating China’s claims to ownership of most of the South China Sea and finding that most of the features in the Spratly Islands are not islands but rocks, making them ineligible to serve as the basis for an Exclusive Economic Zone (EEZ). The largest of these “rocks” is Taiping Island (also known as Itu Aba), which has been governed by Taiwan for the past 70 years but is also claimed by China, the Philippines, and Vietnam. Following the ruling, both China and Taiwan (which was not a party to the case) stated their unwillingness to accept the court’s decision. The case, brought to the court by the Philippines back in 2013, has been boycotted by China entirely. The decision came just two days after President Tsai Ing-wen sent a navy frigate to patrol the area. 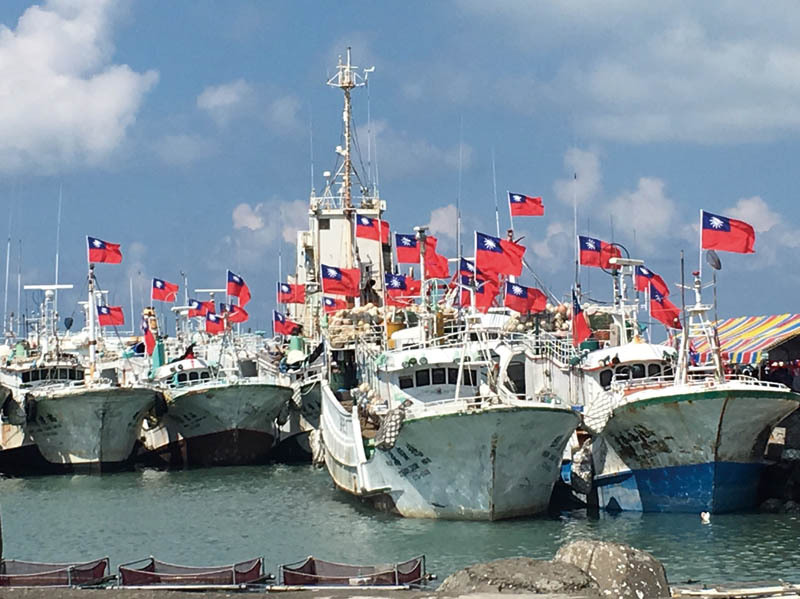 Five Taiwanese fishing boats sailed there in late July to show support for Taiwan’s claims to an EEZ including fishing rights. Citing President Tsai Ing-wen’s refusal to officially endorse the “One China Principle,” China’s Taiwan Affairs Office (TAO) announced on June 25 that it was cutting off communications with Taiwan. 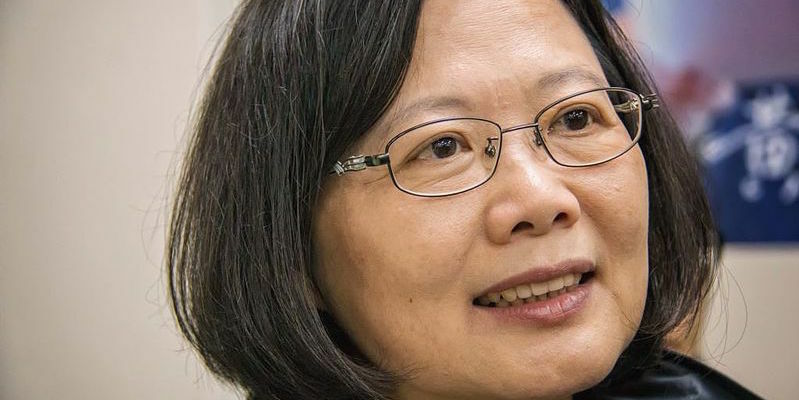 TAO had previously threatened to sever communications following Tsai’s inaugural address on May 20, noting that she had not confirmed acceptance of the so-called “1992 Consensus,” the alleged tacit agreement between China and Taiwan to accept the principle of One China but with different interpretations. China’s June announcement said that Tsai had been given one month to make amends, but had failed to deliver. Tsai, meanwhile, has rejected any sort of deadline for embracing the “One China Principle,” refusing to go against what she believes is the will of the people. 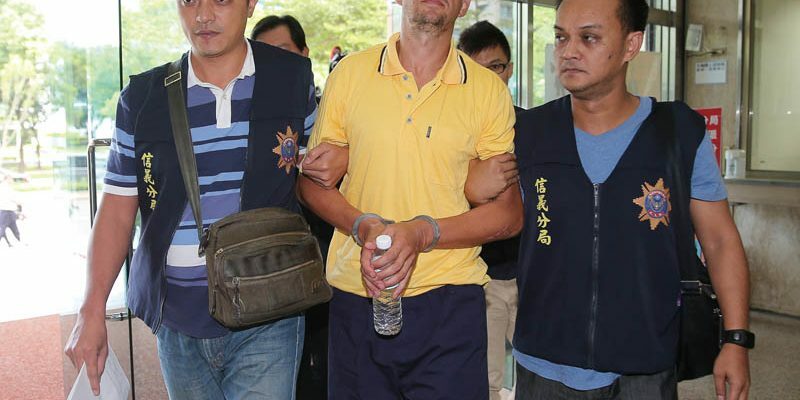 Under pressure from Beijing and despite protests from Taiwan, Cambodia in late June deported 25 Taiwanese nationals suspected of participating in a large telecom scam to China. The Cambodian government has cited the “One China Principle” as their reason for the action. Cambodia has official diplomatic relations with China, while interaction with Taiwan is limited to the economic sphere. The event follows other recent cases in which Taiwanese accused of telecom fraud were deported to China from Malaysia and Kenya. Career diplomat Stanley Kao has been appointed as chief of the Taipei Economic and Cultural Representative Office (TECRO) in Washington D.C. Kao is a highly experienced diplomat who is just coming off an appointment as Taiwan’s envoy in Italy. He also has served as Taiwan’s permanent representative to the World Trade Organization, deputy representative of TECRO, and as English-language interpreter for two former presidents, Lee Teng-hui and Chen Shui-bian. A ranking Vietnamese official said on July 30 that Vietnam had received half of the compensation agreed to be paid by Taiwan’s Formosa Plastics Group (FPG) for environmental damage caused by its steel mill. FPG is the majority shareholder in the Formosa Ha Tinh Steel Corp., which has been found to have caused the worst environmental devastation seen in Vietnam in over a decade. A 130-kilometer stretch of the Vietnamese coastline was affected, reportedly putting up to 40,000 fishermen out of work. Massive protests in Vietnam spurred FPG to publicly apologize and agree to pay US$500 million in compensation in two installments. The second payment is scheduled for August 28. Vietnam has also required that FPG improve its environmental capabilities at the plant to prevent further pollution. This entry was posted in Taiwan Briefs and tagged China, cross strait, defense, tsai ing-wen. Bookmark the permalink.